This is what you can expect when you commencing your Wu Xing Dao training. It is an approximate timeline for the progress you will make. You will be able to generate and release explosive power allowing you to deliver strikes and blows far beyond what would be expected of your size, strength or appearance. Your speed and fluidity of movement will be far superior to what you can currently produce. You will be able to tolerate impact from external forces without pain or injury. You will have released from within yourself a natural ﬁghting ability without having to learn set forms or choreographed movements prevalent in most traditional martial arts styles. The explosive release of your energy you’ve developed can damage an opponent internally. You will have a high level of self-knowledge and understanding that affects and inﬂuences every aspect of your life. Continue to refine and develop your skills by unlocking deeper levels of self awareness. You will begin to truly understand yourself and your body in ways you never imagined possible. It is possible to achieve a high level of martial skill, as well a very resilient and flexible physique. 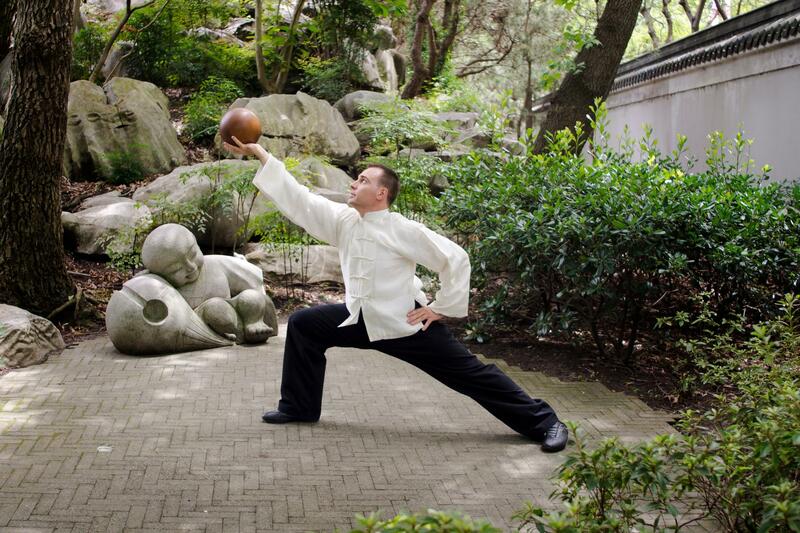 What is Wu Xing Dao Kung Fu? What is Inner Energy Fitness?